-Bigay ko yung bot ko sa varolo. What is Varolo? Is Varolo a Scam? Get Paid to Watch Ads Varolo is a FREE service that offers users earning money while watching advertisments. You earn while watch commercials like Coca Cola, McDonalds, At&t, Target etc. Varolo helps advertisers to reach their target audience based on the demographic properties and the interests of the users. Advertisers pay Varolo, Varolo pays the users. It's a legitimite company. Varlo is not a Scam. Addition to the income from watching ads, each watched ad enters users to win the weekly Jackpot. Varolo payments get big for users with a large network since users are also paid for their entire networks watching ads. It's easy to use, FREE, no selling, no buying, no credit card or address required to register. Any kind of information that allows identity theft is not required. Safe to use. Don't miss this opportunity if you're interested in work at home business or if you have a large network. It's a great way to earn a Residual Income. How much money can you make with Varolo? Village is you and all your referrals to Varolo for up to 4 degrees of separation. Diagram above explains how your village is formed and the compensation plan. Diagram taken from Varolo site. 1st degree referrals, ie your direct referrals' %8 revenue can be claimed by you. You can get %6 of your 2nd degree referrals, %4 of your 3rd degree referrals and %2 of 4th degree referrals. ets say, you refer 10 people, and each referral refers another 10. Then your vilage will consist of 11,110 people. If in your village everyone watches 20 ads a day, each ad paying the lowest possible 1 cent , then your monthy earning will be $1530. The amount earned wil be more if the advertisements watched pays more. The earnings depend on the number of pepple in your village, the number of ads watched, and the pay out of the ads. Plus, you can earn when someone in your "Village" earns the Jackpot. If your 4th degree Referral earns the Jackpot, then will get 1/10th of the amount. If he wins, $1000, you'll get $100 just because you referred that person! In February 2011, someone I referred earned the weekly Jackpot. So, I also earned as a splash up winner! With Varolo, I don't think you can be rich, and it's not a get rich quick scheme, and you won't make a fortune in a week, but it'll be some extra money..
Commercial advertisers pays Varolo to advertise, Varolo pays to its users to watch the commercial ads which users can chose what type of ads they want to watch. There are three methods to earn with Varolo. Each advertisement you watch will give you a chance to win the weekly Jackpot. Earnings from your "Varolo Village". Everyone in your village get paid for watching ads. 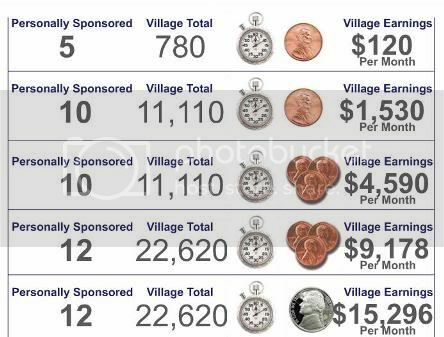 You can claim the total earned by your village by watching ads about 10 minutes a day. That means, you won't only get paid for your watching activities, but also your networks activities, you will get the percentage of your network earned money by watching ads. You can refer as many people as you want, no limit. Whenever someone in your village earns the Jackpot, you also win! To make the most of it, have your husband/wife/mom/dad anyone over 13 years of age as a member. If you win, they will win too! "JOIN for FREE here and get paid watching ads! Kelangan po pala magredeem kau ng isang inactive na account using 3 GRAY AND 1 BLUE CARD yan na pinakamura para makita na yung earnings and dollars nyo this is a known bug ng varolo na they are currently facing pati mga users complaint ito..
or pwede kayo mag register ng isa pang account under nyo.